General Motors “remains committed to Canada”, its GM’s fifth-largest country market globally in terms of auto sales and for vehicle production. The statement was made in a GM press release outlining plans to cut 1,000 hourly workers at Oshawa, Ontario. So, what and how is The General committed to Canada? As it currently stands, the allegiance revolves around two primary components. In the beginning of 2015, GM announced an investment worth $560 million in its CAMI (Canadian Automotive Manufacturing Inc) facility in Ingersoll, Ontario to accommodate production of the next-generation GMC Terrain and Chevrolet Equinox crossovers. Made without financial input from the Ontario and federal Canadian governments, the investments will secure about 3,000 jobs at CAMI. GM says that $190 million of the investment will go directly into the plant, while $370 million will go towards vendor tooling within Canada. What’s more, in March 2013, GM announced plans to invest $250 million in CAMI for a new body shop and flexible manufacturing equipment, tooling, and for converting the manufacturing facility to support future vehicle production. 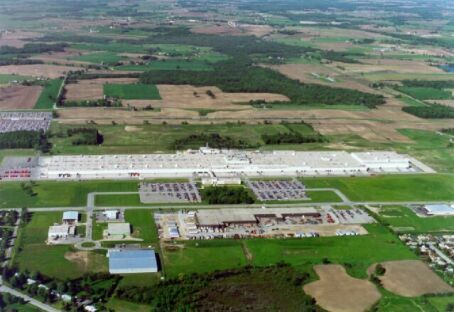 In late April 2015, GM announced that it will expand its Canadian Engineering Centre (CEC) as an innovation hub for “the connected car” and green technologies, two areas are of critical importance for automotive customers and the future of the auto sector. The CEC is located in Oshawa, and its expansion will result in the creation of 100 advanced technology jobs such as software and controls engineers. So, although an update to the CAMI plant and the hiring of 100 new high-tech workers at the CEC doesn’t necessarily make up for the 1,000 (and possibly more) lost jobs at Oshawa, it’s nice to see that GM isn’t giving up on Canada just yet. Next story 2016 Chevrolet Camaro Engine Specs Leaked?